While most things these days are made over seas in huge factories with the singular goal of maximizing profits by cutting corners and using the cheapest components, Black Box Analog Design does things differently. In fact we take a different approach to most things. We are not interested in creating clones of old gear or building derivatives of popular gear. We are interested in creating gear that does something that hasn’t been done before, addresses a need we come across in the studio and takes a new approach to a problem or design. to begin tinkering with circuits of our own. 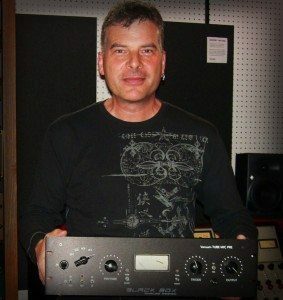 Since we came from an audio engineering background and not a circuit design background we weren’t influenced by standard designs or restricted by thoughts of what we “should” do. Instead we allowed our ears to lead us in the right direction. 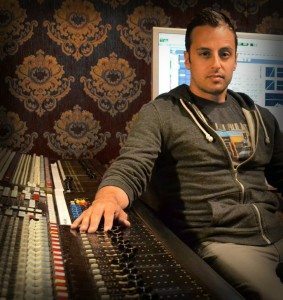 Outside Black Box, Eric is a platinum mixer, engineer and producer working with some of the top artists in the world like Katy Perry, Pharrell, Lil Wayne and many more. Robert is an award winning film mixer and engineer with a background in satellite and microwave communications.